Adequacy conditions for a theory of honor? The first invitations to join honorethics.org as a moderator/contributor are being sent out today. To get the ball rolling, I thought we might start a discussion about the nature of honor. 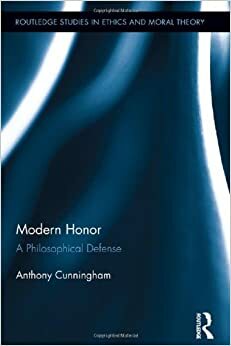 When researching the question of honor’s nature, one is struck by the seemingly fundamental disagreements about the nature of honor. Some authors focus on traits related to integrity. Others on traits related to status and esteem. Others on violent responses to insult. One way to sidestep the issue is to say that one is talking about one “type” of honor, and provide an analysis of that. 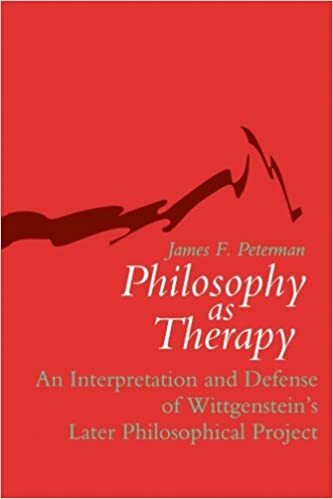 But suppose we tried to advance a theory of honor that made sense of all our commonplaces about it–in other words, a theory that would describe the interests of anyone who might read or write for this blog. 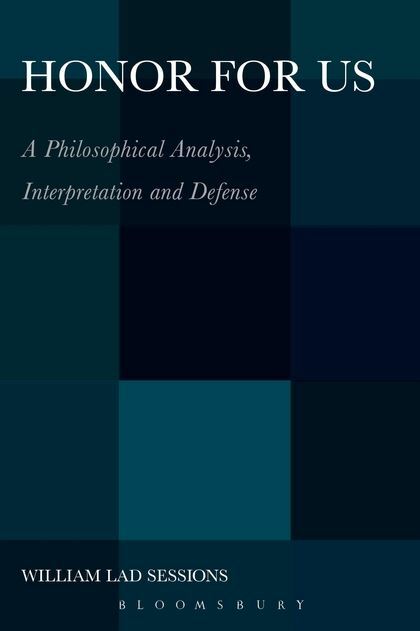 What are the adequacy conditions that any theory of honor thus described must satisfy? In the chapter of the book I’m writing that deals with this issue, I list these seven. Honor has something to do with status. Honor has something to do with integrity. Honor has something to do with reputation. Honor has something to do with forcefully responding to insult. Honor has something to do with the spirited defense of one’s rights, prerogatives, and dignity. Honor has something to do with manhood and warriorhood. Honor has something to do with high-mindedness, nobility. What would your list look like? Anything above you’d strike or add? It all depends on what we ask of our “theory” (perhaps too grand a term?). I suspect that if we seek to account for all uses of “honor/honour” in English, much less cognates or (near-)synonyms in other languages, that we will not have a theory but only a mess. Better to construct or explicate a concept that we take to be central to many if not all uses, and this, I suppose, Dan is doing. 1. Personal honor is a deontological concept, not a consequentialist one. 2. It isn’t necessarily moral, though it may be moral; it is relative to a social group. 3. It is a Janus-concept, with essential ties outward to social group (loyalty, trust, shared principles, etc.) and inward to self (commitment to principle, responsibility for self-maintenance of honor, etc.). 4. 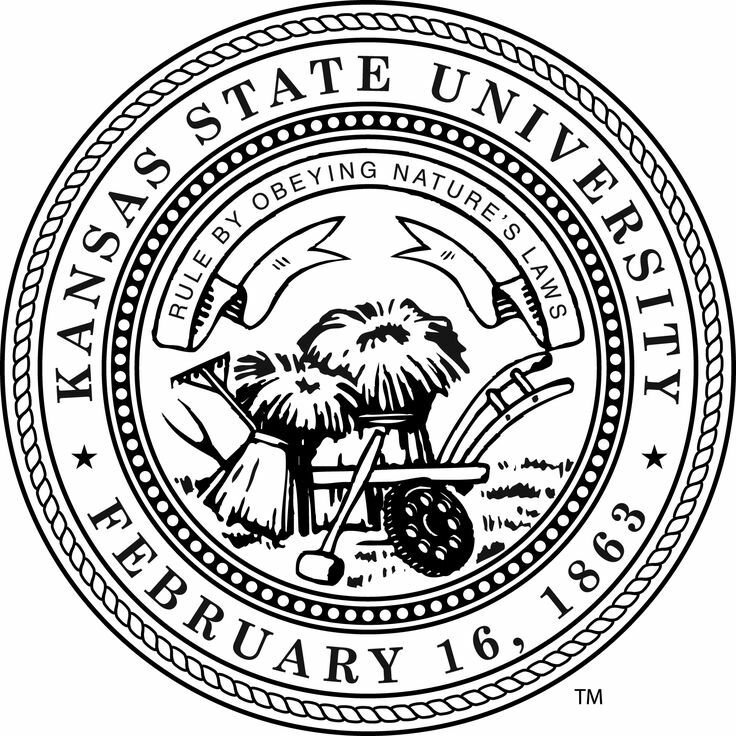 It implies an honor group and an honor code, and deep relations to both, and to both publicly. 5. (I might add) Honor can be linked to any of the seven things Dan mentions, but it need not be. Yes, I do think there is some core idea that ties these seven items together. Roughly, I think honor is a (putative) value. Ontologically, that’s what I think it is. In genus-species form, I think honor is a value that possessed by people that compete fairly for status, and afford rank-appropriate respect (and demand the like) in proportion to competitive success. Honor is possessed by actions and states of affairs that manifest this form of thought and behavior. But I am glad you brought up your “personal honor.” It occurred to me that I wasn’t quite sure of what sort of thing, ontologically, honor was to you. That is, is honor a value? Is it a state of being? Is it a virtue? 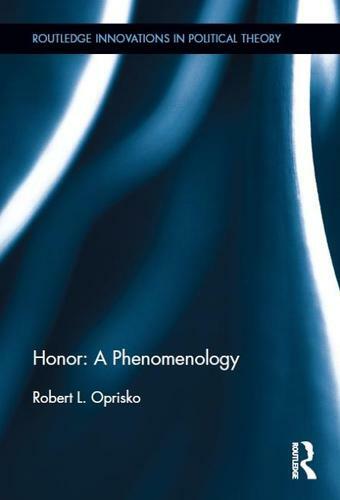 You say that it is a concept, but do you think honor is just a concept, or does the concept represent some non-mental item, such as being such that its possessor is a part of an honor group and so forth? Or is it having a set of virtues that would allow one to discharge her duties well if she were in such as state? It seems a that a distinction between honor, shame and guilt would be an important condition. Lad mentions personal honor, could that be a guilt state? Does it contrast with shame? 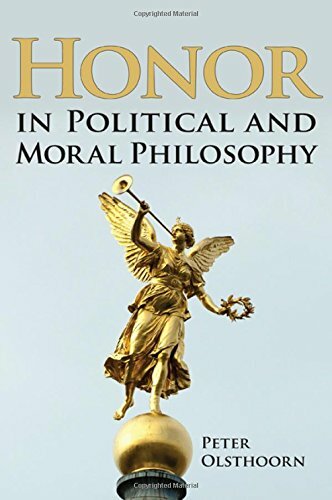 If honor is both an internalized moral state and essentially tied to a social group (which could involve an external moral state), then is there a contradiction of terms here or a complex interplay between guilt and shame? Dan, you mention that honor has something to do with manhood. Does womanhood factor into honor? When I think about the colloquial conception of honor it does seem to be tied to manhood, but could there be lighter flavors of honor for people concerned with womanhood (or a less obvious, but just as strong code of honor)? Great question. In some languages the word for our “honor” is interchangeable with “shame” (as in the Greek “aidos”). The idea here is that shame is the feeling that spurs one to protect one’s honor. Thus, the worst thing you can call someone in an honor culture is “shameless”—when someone is shameless, they are worse off than even the shamed person, for the shameless person doesn’t even value honor or disvalue being dishonored. In contrast, an honorable person is “shamefast,” or “firm in shame,” meaning sensitive to shame and thus committed to living honorably (see on this George Fenwick Jones’ fantastic _Honor Bright_, pp. 8ff, and the anthology _Honor and Shame_edited by Peristiany). Shame is generally agreed to be an emotion whose cognitive content has something to do with failing yourself somehow. Guilt is the feeling of having failed someone else somehow. Somewhere philosopher Kevin Mulligan put it like this: The guilty person says, “I can’t believe I did *that*. The shame-filled person says, “I can’t believe *I* did that.” See the difference? Gabrielle Taylor’s _Pride, Shame, and Guilt_ is a classic treatment of these distinctions. In any case, you’re right to think about shame. I would say that a key feature of any good account of honor is that it explain the honor-shame connection. Second, although women have traditionally obsessed about their honor as much as men, their honor was usually understood either in terms of the honor of their men or their honor as chaste and fertile daughters and wives. 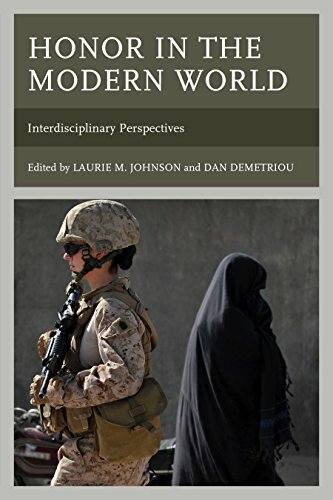 This meant that female honor wasn’t as connected to the competitive dimensions of life men were engaged in (war, business, etc.). If indeed the core of honor is competition (as I think it is), then this would explain why honor is associated more with men than women, even though both sexes often died–and continue to die–for honor. So some pre-theoretical associations we make with a concept will be correctly cashed-out conceptually (honor and shame, for instance). Some others are properly accounted for by appeal to contingent facts, such as historical or biological ones (honor and manhood is an example of that, imo). My own view is that honour is inherently contradictory. People writing on the subject often seem to suggest that internal honour (conscience, integrity etc) and external honour (status, reputation, etc) are entirely distinct (thus the shame and guilt culture dichotomy), and stress the importance of one over the other (in modern ethics most often to encourage internal honour). In fact, they are always both present and are mutually dependent – you can’t have one without the other (thus you are right to include both in your list). For instance, the reason one values the opinions of others and so wants status is because of the internal validation it gives. Yet the two aspects push people in contradictory directions – for instance, to rigidly follow the rules (to abide by the code of honour) but also to break them (in order to win whatever competition one is engaged in, and so gain status). Honour per se is thus morally neutral. What matters is not so much honour itself but the virtues or excellences with which it is associated. 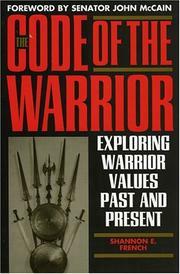 And although people tend to associate honour with traditional male virtues – prowess, willingness to fight etc – honour can be gained from any virtue or excellence, as long as society values it. If you want to encourage socially useful behaviour, the key, therefore, is not to either encourage or discourage a sense of honour, but rather to ensure that the virtues you want displayed are the ones which are honoured.